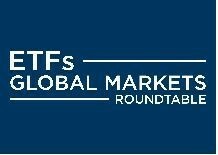 At the end of March 2019, the Global ETF/ETP industry had 7,720 ETFs/ETPs, from 412 providers listed on 72 exchanges in 58 countries. Following net inflows of $37.21 Bn and market moves during the month, assets invested in the Global ETF/ETP industry increased by 1.41% from $5.32 Tn at the end of February, to $5.40 Tn. Equity ETFs/ETPs listed Globally attracted net inflows of $16.51 Bn in March, bringing net inflows for 2019 to $36.30 Bn, substantially less than the $100.52 Bn Mn in net inflows equity products had attracted by the end of March 2018. Fixed income ETFs/ETPs listed Globally attracted net inflows of $17.98 Bn in March, bringing net inflows for 2019 to $56.36 Bn, considerably greater than the $17.48 Bn in net inflows fixed income products had attracted by the end of March 2018. Substantial inflows can be attributed to the top 20 ETF's by net new assets, which collectively gathered $30.49 Bn in March, the iShares Core S&P 500 ETF (IVV US) gathered $7.19 Bn alone. The top 10 ETP's by net new assets collectively gathered $957.49 Mn in March, the VelocityShares Daily 2x VIX Short Term ETN (TVIX US) gathered $333.76 Mn.